The dual SIM, super retina display, A12 bionic chip, and 3D touch makes Apple's iPhone XS an amazing phone. An accidental damage can mar these features of your new iPhone XS. 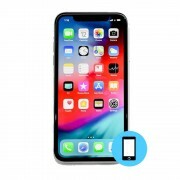 When your iPhone XS needs any kind of repair, iFix Mobile has the parts, tools and experience to get the job done quickly and at competitive prices.